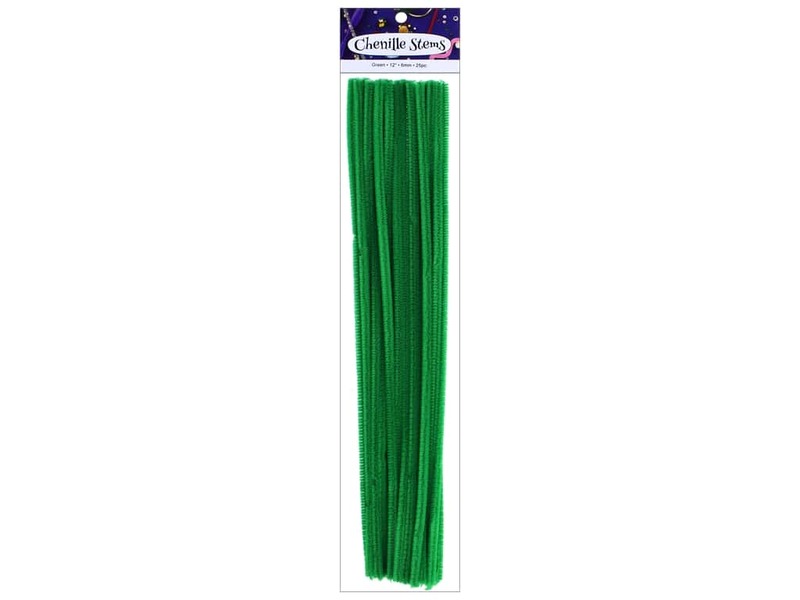 Description: PA Essentials Chenille Pipe Cleaner Stems are great for making posable figures, party favors, ornaments, holiday decorations and anything else your imagination can come up with! Bend and twist together, string beads onto or combine with other crafting materials to shape unique items. Not for young children. 6 mm x 12 inch. Green. 25 pc.